Technical supervision for construction and repair. The main details. Technical supervision for construction and repair. In detail of the main. – the first and conclusive advantage of construction and repair in winter – it is reduced job cost, so-called seasonal factor. – the second: if to say of wooden building constructions, then it is, of course, quality of delivered material. Brumal wood, as a rule, less waterlogged and respectively probability of occurrence of such defects, as excessive shrinkage, torsion, crack initiation etc. exponentially less than in warm season. – the third: erected structures (constructional or repaired), in respect to classical variant of summer home, will be ready exactly on summer season that it is no doubt better than all summer to conduct on jobsite. – the first: of course it is negative temperatures, in respect to outside works (building or repair works). Inevitably, in winter should be particularly carefully maintained the technology of execution of specified kinds of works. – the second: observance of rules of material warehousing. It is likewise very important factor for receipt of qualitative result at construction and repair. – the third: constant surveillance for performance of works. This factor was due to the fact that with allowance for mentality of operating staff, by virtue of lowered temperatures, emerges unimaginable intention to fake and faster to finish object, in order come over in warm place. It is to be noted that in this instance it is a question of any building organisation, as all building and repair jobs are executed by human resources, so such probability is present in any case and in any construction and repair organisation or private brigade. In view of the above, it becomes evident that at all pluses of winter construction and repair, without the control of possible negative factors all advantages of winter construction and repair are reduced to zero. 1. Passer-by one of the objects we saw following: at temperature about -15 degrees the builders processed timber imitation by anti septic, intended for outside covering of frame house. Directly on the street from paint blower. Directly on the street out of spray bottle. It was visible that to adjutage constantly daze, but to this case beside with quick builder there was a hot air gun by which he periodically were defroze a adjutage. At the same time, he probably did not think that driven to wood surface antiseptic so and will remain on it inasmuch, as is adjutage, will freeze. In such a manner, about protection of wood out of the question, because immediately after processing of workpieces they were used in construction of power skeleton. Conclusion: at occurrence of positive temperatures the antiseptic will successfully flow down on surface and building structure will remain unprotected. 2. More on one object we saw following: private construction brigade, paid by Customer, decided to arrange to itself the nosh-up and, abandoning all, including from object itself, subsided to note New Year’s holidays. At the same time converted timber, fluids etc., i.e. all what is required at construction of frame house, was left to the discretion to Father Christmas. Helter-skelter scattered converted timber, fluids left in makeshift barrack, where, evidently for economy of the means of Customer, electricity and heating was switched off, and fluids for the moment of our arrival froze – all of this will not give probably as the result expected quality at construction of frame house. 3. Or here is one more example, but this time not about external, but about internal works, and not even on allotment garden, but in the apartment of multi-family house. In connection with high activity employment of Customer, the organisation of works, as well as quality surveillance of their performance, was returned out to the builders. The customer could not attend onsite physically, at the same time the intention of maximum economy did not allow to Customer to take advantage of services a engineering supervision for repair. Conclusion: wall plastering performed with infringement of all conceivable and inconceivable norms, screed coat which splited in a week after pouring over, electric connections arranged every which way and just anywhere. That means, respectively, material costs, time, nerves of Customer and (!!!) second payment, but already with correction earlier of performed repair jobs. About this case we will tell in more detail a little later, since repair of this two-room apartment was completed by the specialists of our company. 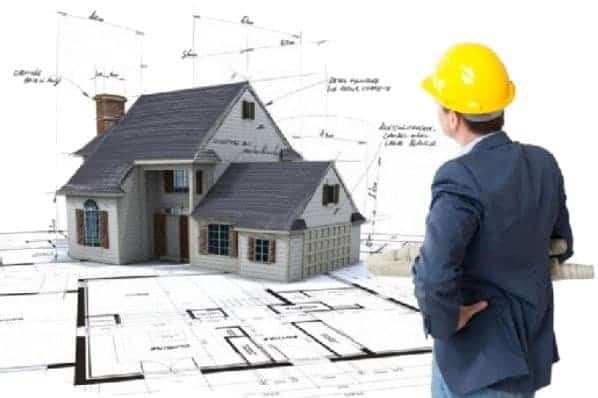 So, we hope that in given release we convinced You that technical supervision of Customer – is thing extremely necessary and useful at construction and repair not important of what: whether be it frame country house or apartment in multi-family house. And it is particularly urgent, when at Customer is absent time/knowledge/opportunity to control personally construction and repair. 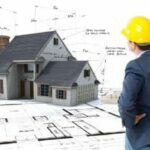 In following article we will consider process stages of the construction and repair management, as well as the main sequence, i.e. as to what should go in that or other variant exactly of the structuring of building and repair jobs. And hereupon we will try to inform You in detail, what is technical supervision both of the customer and contractor – what does it go with and from what party to approach it.